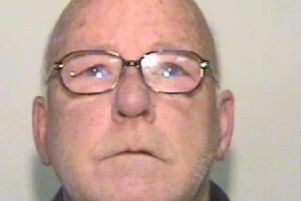 A Wigan man has been jailed for life today after he was convicted of murdering a flatmate in a drink and drugs-fuelled attack. Daniel Eckersall, 42, of Withington Lane, Aspull has been sentenced at Liverpool Crown Court today, to life imprisonment with a minimum of 18 years after being found guilty of the murder and robbery of Eric Caddick. His co-accused and fellow flatmate Geoffrey Cunliffe was cleared of the same charge. On the morning of Wednesday, November 25, 2015, Eckersall and Caddick had an argument following a night of drinking at their home address on Withington Lane. Eckersall, who had started the argument, lashed out at Eric, stamping on him and leaving him in a heap on the ground. He left him lying there for nine hours before calling an ambulance from a nearby phone box. During this time, Eckersall withdraw £800 for Eric’s bank account which he later spent on drink and drugs. He was taken to Wigan hospital and transferred to the intensive care unit but sadly died on Sunday, March 13, 2016. Prior to his arrest for murder, Eckersall met with a number of friends and recalled to them how he had been drinking heavily and taken cocaine on the night he assaulted the 61-year-old. He also gave them disturbing details of how he attacked Eric. Paying tribute to him following the conclusion of the trial, Eric’s family said: “Eric was much loved by all his family and friends. “He was taken from us in March following a terrible attack on him in November last year. He was attacked in completely unnecessary circumstances. We cannot express how devastated we are that his life has been stolen from him. “Eric is missed every minute of every day. He was vulnerable and preyed upon by people he thought were his friends. “Today the man responsible has been sentenced, and justice has been served. “We can try to repair our heartache although no matter how long the sentence is, it will not bring Eric back or make our loss any easier. “We need to attempt to move on and hopefully today will now provide closure for our pain over the last year, however, we will never forget Eric or the many memories he has given us. Detective Sergeant Nigel Rigby from GMP’s Wigan borough said: “Eric’s death was tragic and came as a result of a completely unnecessary incident with a man that he lived with and considered a friend. “His death has had a huge impact on his family, and they are still trying to come to terms with his death.